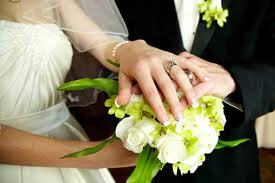 Every wedding or renewal of vows is special and deserves its own individual signature and distinctive treatment. Because of this, we are delighted to offer free, in-person consultations to ensure that your needs are heard and met, and that you have the wedding music of your dreams! If our standard repertoire does not suit the needs of the occasion, you are welcome to suggest your own favorite pieces. If sheet music is not available, we can prepare transcriptions and arrangements for an added fee. Want to make your wedding really stand out? Why not commission us to compose a brand new piece of music, just for you and your partner? We belong to the musician's union, and so we offer the piece of mind provided by professional contracts prepared by cfm/afm local 247. Add magic to your celebration with our one-of-a-kind ensemble, and blend ancient sounds in a modern context as you look towards your bright, new future! ©2014, windonthewaves.com, All Rights Reserved.